When I saw this beautiful MDF butterfly I knew I wanted to triple emboss it. 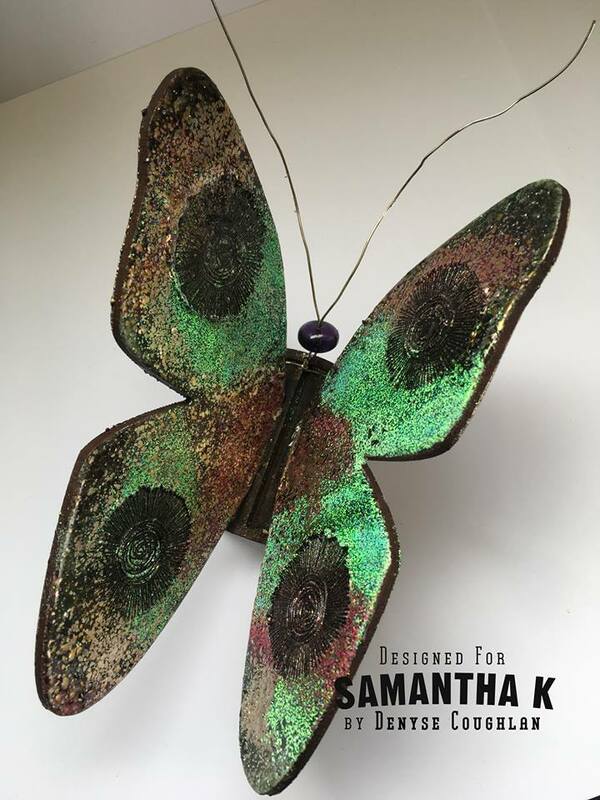 I used masking tape to mask off the two tabs that push into the slots to create the 3D Butterfly. The 3D design snaps together securely but going any medium on the tabs can cause them to swell and affect the fit. I then used perfect medium (you can use any clear embossing ink) and stamped all over with the clear ink. 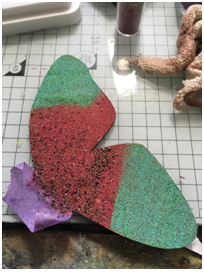 I used a sheet of waste paper to mask the ink so I could use green on the wingtips and red in the middle. This was then heat embossed. I reheated the melted powder and then sprinkled a vintage black and gold chunky embossing powder on to the molten surface. 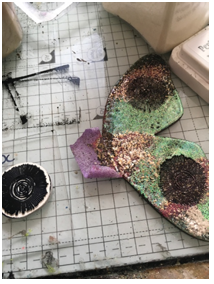 This immediately grabs the fresh embossing powder, so after your first layer of powder you do not need to use ink again. I then decided I wanted to add some additional green, so once again I heated the surface and added the green where I required it. 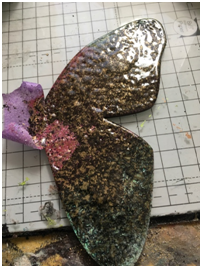 To add the spots on the wings I inked a Carabelle studio stamp with black Versafine, reheated the surface of the embossing powder on the butterfly and when it was molten, stamped into the embossing powder. 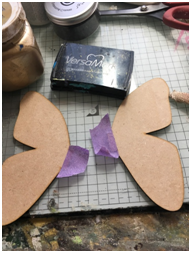 The Versafine helps to release the stamp from the embossing powder. Finally I re heated the whole thing and dropped small bits of gold chunky embossing powder wherever I wanted them, and then heatset them into the place. 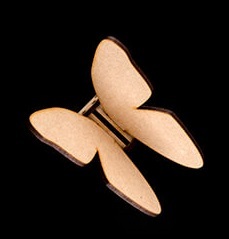 To create the antennae I folded a piece of wire in two and threaded it through a bead which was glued into place.